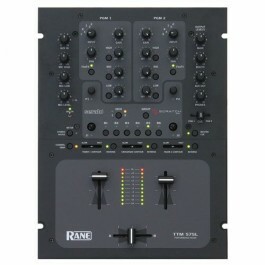 available for dj rentals in Brooklyn and NYC. The TTM 57SL was the first DJ mixer to integrate hardware features with Serato software and into one powerful piece of DJ equipment. 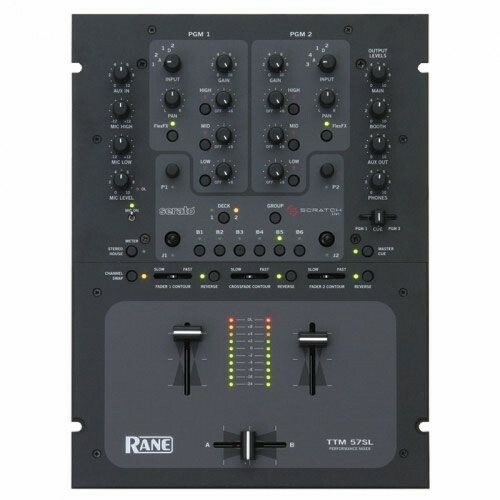 Combining the features and performance of the Rane TTM 56 with Serato software, the TTM57SL soon became the standard dj mixer for professionals worldwide, and it still remains one of our most sought after dj equipment rentals. 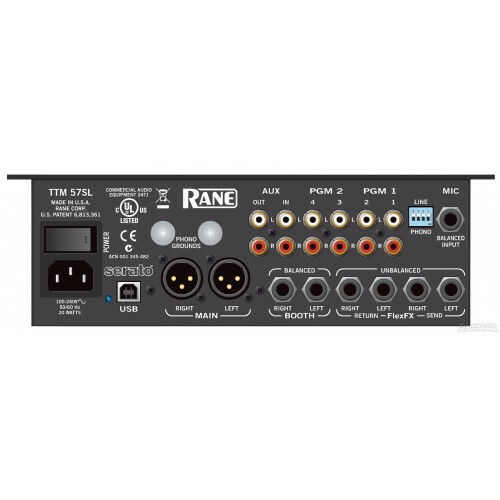 The TTM also includes two pieces of control vinyl, two control CDs, USB cable, Scratch LIVE software and an extensive color manual. Play a combination of digital and analog sources. Play up to two digital files controlled by vinyl or CD while recording your mix. Or, record two stereo sources when not using vinyl or CD control. Cue analog and digital sources. Operate standalone as a no-compromise performance mixer.